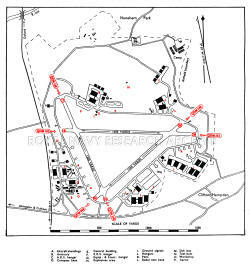 The airfield lies 5. miles S. of Oxford and 1 mile ENE. 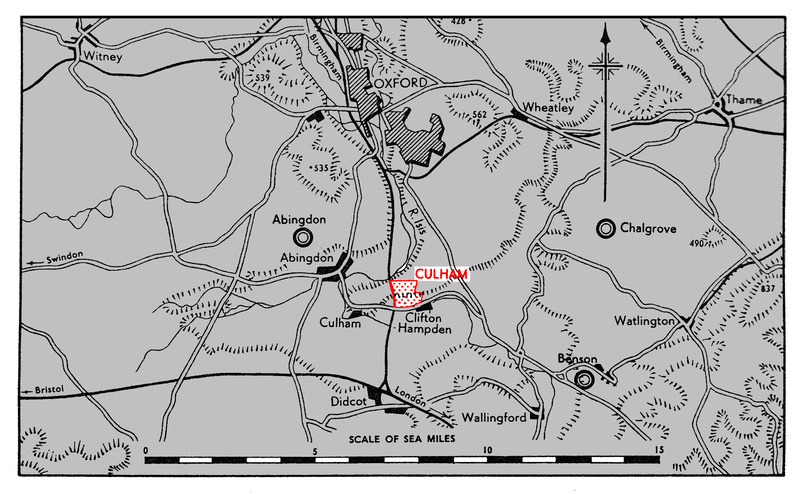 of the village of Culham. Abingdon lies 2 miles NNW. 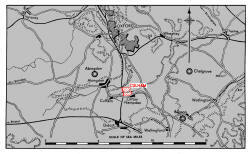 Didcot junction lies 3 miles S.
The town of Oxford on the Isis, which river forms a loop around the airfield to the N., W. and S. as it flows SE. to join the Thames. Didcot junction where a line running N/S., intersects the miin London-Bristol W.R. Line. Control Building inside rte perimeter track on the N, side of the landing area, Keeps watch 0900-0600. Extensions for 06/24 & 10/29 Agricultural objections. Windsocks, one E. of Control Building, and one outside the perimeter track at the NW, corner. 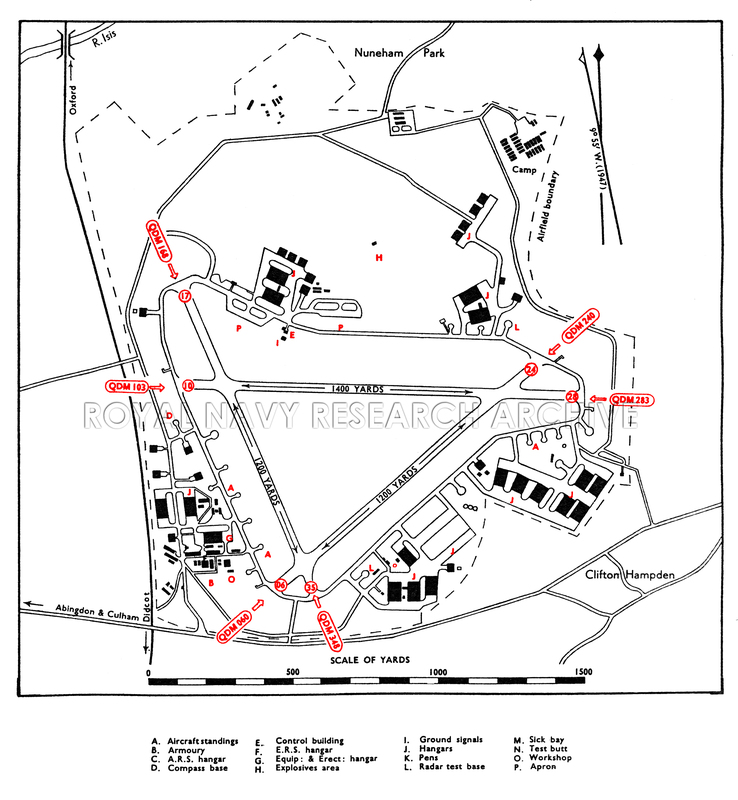 Living quarters in two camp sites on the M. side of the airfield. 8 A/C standings dispersed round the perimeter track. Aircraft Despatch Park close NE. of Control Building. Sick Quarters between camp sites on the N. side of the airfield. Office in Control Building,. 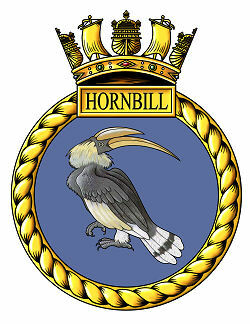 Service by Naval personnel. 0900-1600. 32.000 gallons on two installations of 167.000 gallons each. 4.000 gallons on two installations of 2.000 gallons each. Five A/C test bases available. Four covered test buitts on he W. and NE. and E. sides of the airfield. Workshops to special scale (4-6 squadron standard). Visitors parking area on W. side of Control Building. Initial equipment 4 Seafire III, later received other marks of Seafire. Re-equipped with Sea Fury FB.II in 1951. Shared the Sea Fury FB.IIs of 1832 sqn. Equipped with 4 Firefly FR,4 and 2 Harvard.